Thousands of students and like minded people showed up Saturday morning for the March For Our Lives demonstration, and they were pissed. Tampa's installment of the nationwide movement took place at Kiley Garden in downtown. Estimated at over 10,000, demonstrators marched and carried signs, chanting phrases like "This is what democracy looks like", and "The NRA has got to go". 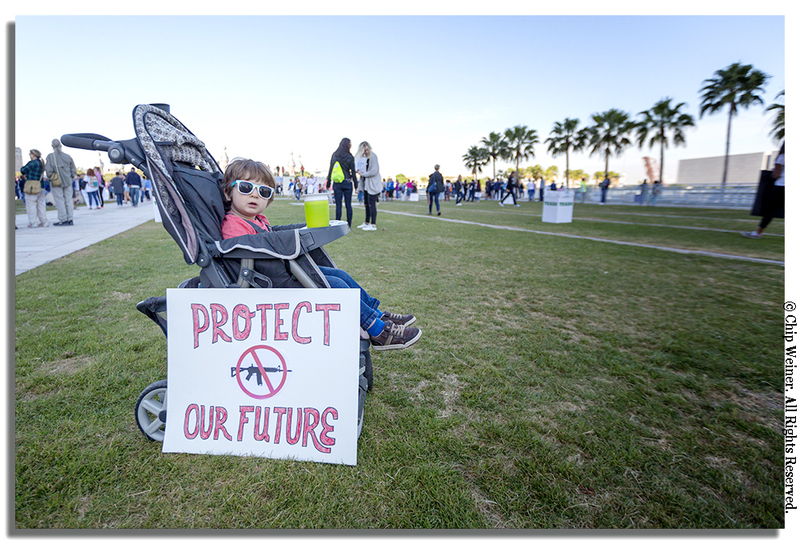 They were there to protest gun violence and recent inaction at both the national and state levels on gun control. They are motivated and angry following the recent shootings at Marjory Stoneman Douglas High school in Parkland Florida. Tampa Mayor Bob Buckhorn encourages student attendees to fight for what they believe. He was joined on stage with Congresswoman Cathy Castor, and Tampa City Council members Mike Suarez, Harry Cohen, and others. Buckhorn's impassioned message brought the crowd to deafening cheers. 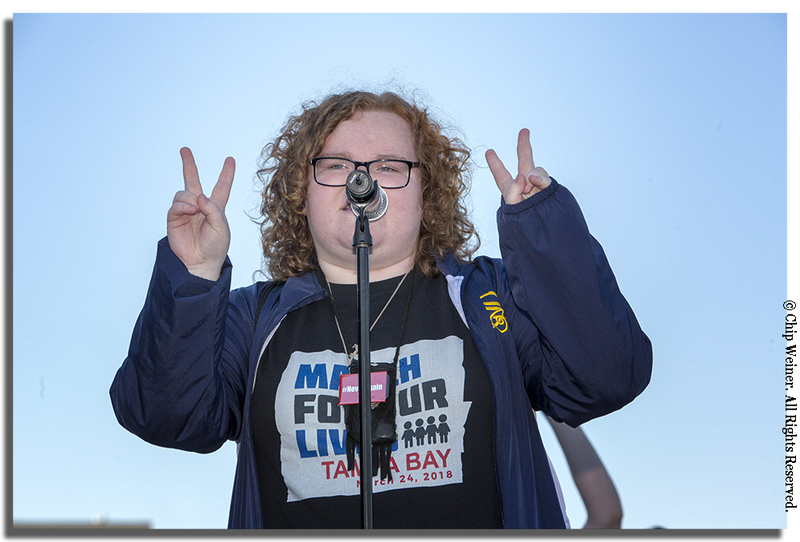 Tampa Mayor Bob Buckhorn started the rally with an impassioned plea for the students to speak their mind and be heard, to not let the inaction in Washington continue, and to get ready to march. Many of the speakers were students from several high schools, including Susana Matta Valdivies, a 17-year-old from Marjory Stoneman Douglas. They read speeches, sang songs of inspiration and protest, and emphasized that they are just getting started. The age of the participants was diverse but the message was the same. They think there are too many politicians owned by the NRA, kids are more important than money and the fallacy that they are lazy and idle is wrong. They are coming after established and ineffective politicians. Many registered to vote at the tables set up at the event. According to the speakers, they are going to clean house one bought politician at a time. Parents brought their young children. While the march was planned mostly by high schoolers, it was attended by people of all ages. The age of the protesters was diverse, but the message was unified: Never again and enough is enough. The faces of change were evident as students raised their voices and signs in protest of recent gun violence and inaction by politicians. Following the rally they marched for over 1.5 miles through the streets of south Tampa, crossing the Kennedy bridge, heading down North Boulevard, and circling around to Cass street before heading back to Kiley Gardens. Thousands march down Cass Street following a rally at Kiley Garden in downtown Tampa. The march ended back at the garden around 12:00 p.m. There's a new sheriff in town, and it's the youth. They're coming for ya ploiticos! The rally, according to the speakers, is just the beginning.